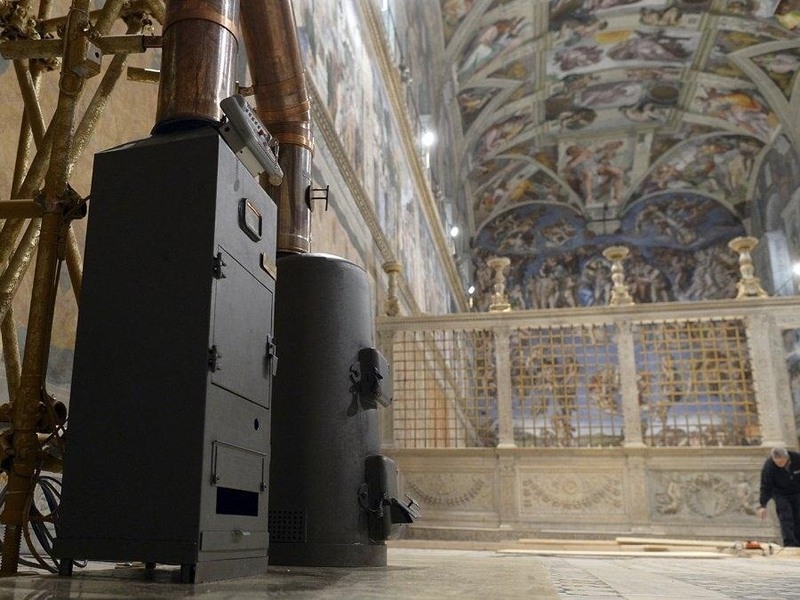 While the pope himself may not be Steampunk, you might be amazed at what is: the coronation stove. For those who don't know, it's been a tradition for a very long time to signal the election of a new pope (or the lack of a new pope) via colored smoke. 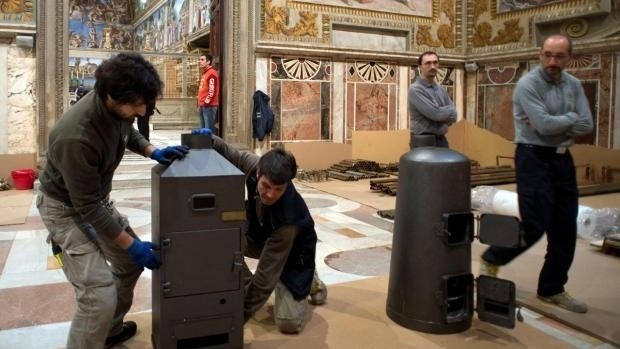 More specifically, once the cardinals have all voted for the new pope during the conclave, the ballots are burned in a special stove in the Sistine Chapel, and the smoke is visible in St. Peter's square. 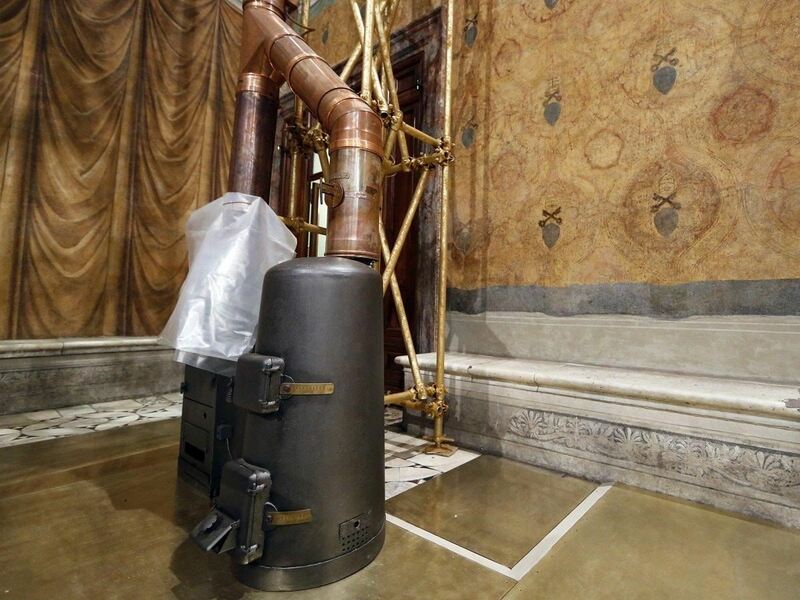 When the election results in a deadlock, or no new pope, a special chemical is added to the stove in order to make the smoke black. The black smoke signifies to those in the square below that a new pope hasn't yet been elected. However, when the vote has successfully elected a new pope, the chemical is not added, and the smoke burns white. 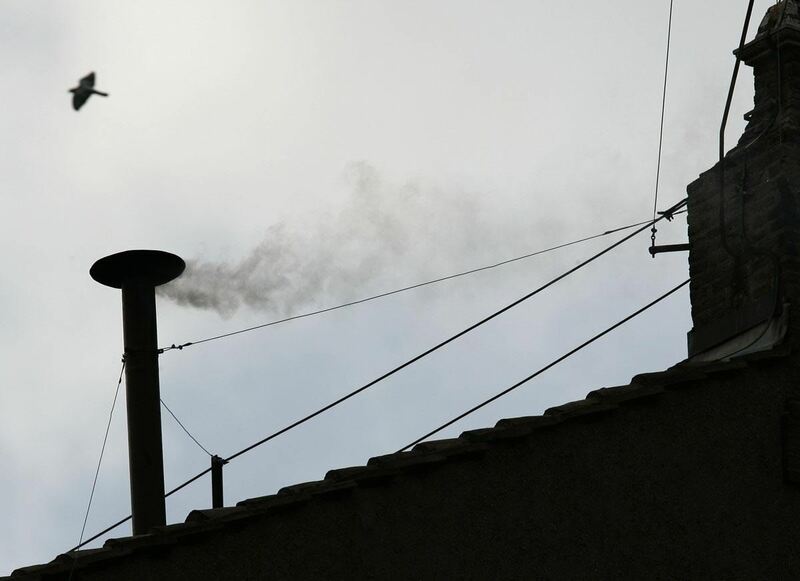 White smoke rises from the chimney above the Sistine Chapel on April 19th, 2005, when Cardinal Joseph Ratzinger was elected Pope Benedict XVI. Photo by Jerry Lampen/Reuters. Many millions of people around the world are familiar with this unique method of communication, but now for the first time we have excellent digital photographs of the stove itself, and it's remarkably Steampunk! Note the copper tubing and brass framework supporting it. The two black objects at the bottom are stoves. One of them is designed specifically for the burning of the tallied ballots, while the other small oven is where the chemical additive (as of yet, unknown) produces a plume of colored smoke that's expelled out the chimney. Workers placing the stoves. One apparently dates back to 1939 (on the right), and one to 2005. The newer one was made because the modern paper ballots didn't produce enough smoke on their own. Photo from AP. 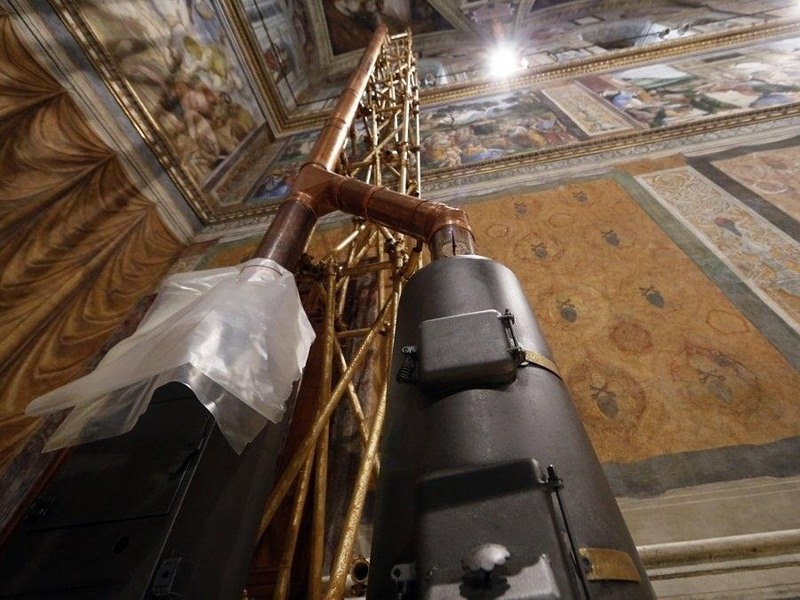 Isn't it amazing to see this really cool Steampunk-looking stove amidst all of those amazing Renaissance paintings? Talk about culture clash. I can't tell if it's going to be in the next Dan Brown novel, or the next National Treasure movie. Either way, this is a really cool look into the interior of the Vatican! Guess they'll be locking the old stove contraption away for a while, now that there's a new pope in town. I would assume so! They must pack it away somewhere so that it doesn't rust or whatever in the intervening decades between uses.